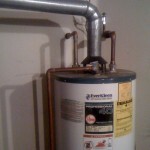 Water heater repair is, if you pardon the pun, something that most people put on a back burner. However, it is smart to consider it as it can help you to save money on both your electric bill and your water bill as well. A leaky water heater can cost you a lot over the long haul. For every day that your water heater goes unfixed, you’re losing money. Let’s say that you’re water heater is leaking just a bit each day and only adds up to $2.00 a month more. However, that’s $24 per year on your water bill. Now look at other costs relating to a leaky water heater. You could find yourself paying more for doctor visits for health problems that can arise from water, such as exposure to black mold. You could also have to repair water damage as well. So while it costs a bit to pay a plumber for a water heater repair, it costs more to leave it alone. Sometimes, a water heater repair is not an option. 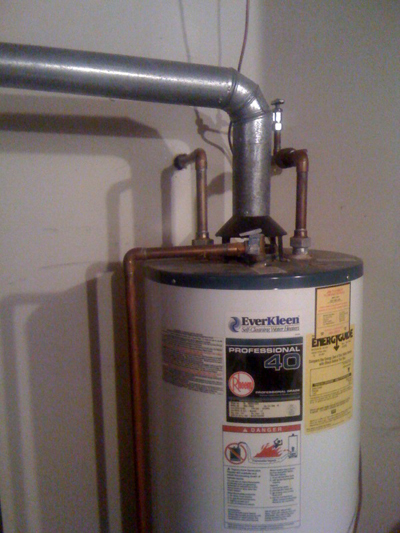 Sometimes, it is better to replace a water heater instead. Technological advances come about every few years that make water heaters more energy efficient. One recent development in water heaters is the development of tankless water heaters. Tankless heaters take less time to heat, use less water, and essentially provide a limitless supply of hot water. The first step to determine if you need a water heater repair or if you just wish to replace your water heater is to figure out what you need. Once you’ve got that, then you just need to call in a plumber to help you out. Pur Plumbing Service is a local plumber who specializes in water heater repair and replacement. Give us a call at 727-475-1474 or 813-579-1920.